Truck collisions and crashes cause devastating injuries, sometimes even deaths with wrongful death claims, in South Pasadena. Having a vast experience of over 40 years in handling wrongful death and personal injury claims, our accident lawyers and law offices create a team of expert attorneys serving those injured and hurt in South Pasadena, Los Angeles, California. Our South Pasadena injury lawyers aim to provide our clients with excellent, compassionate service while striving for the maximum settlements and assisting our clients with the time deadlines and other procedures involved in their pursuit of their truck accident legal claims. Our initial consultation and evaluation is absolutely FREE. Call us now to see if you have a case and if we take it we work on a contingency fee. That means that there is NO fee until we WIN! Please call us now at 1-866 INJURY 2 or 818-222-3400 (after hours, dial “1”) or simply click here 24/7 to reach us via email. Having more than 40 years experience with membership in the California State Bar. Having a success rate of over 95% in our personal injury and wrongful death accident cases. Served in the position of Arbitrator at the Los Angeles Superior Court. Recovered monetary settlements over $100,000,000.00 for our clients. For more information, please visit our lawyer profiles to know about the experience of our expert wrongful death & injury accident attorneys. Further, to learn more about the procedures associated with handling truck accident claims, look through our Truck Injury Accident Web Site; but for even more specific information about your own particular case please call us now for your FREE case evaluation & consultation. Contact us for your personal injury consultation for any truck, car or motorcycle crash in South Pasadena, Los Angeles or anywhere in CA. Just call 1-866 INJURY 2 or 818-222-3400 (after hours dial “1’) or click here to reach us 24/7. Vehicle Repairs: Vehicles suffer huge damages in road accidents. Mindful of this fact, our lawyers and law offices assist our clients with vehicle repairs, including with tow, storage, free rental vehicles, settlements, etc., in the best possible way. 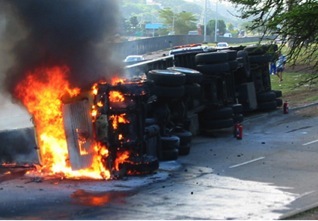 Medical Care: In many truck crash accidents, serious injuries are likely to arise. We assist our clients in finding doctors and other medical experts, most of whom will wait for payment until the case is resolved. Thus, most of the doctors, therapists, etc. – knowing how hard it is to fight huge insurance companies - will provide the necessary treatment without charging anything – not even co-pays - until your claim is settled. Cash Advances/Emergency Loans: Truck accidents and collisions can have an adverse effect on your financial state – from high hospital and health care bills with loss of earnings and income. Thus, our injury and accident lawyers and law offices will assist you in obtaining emergency loans and advances to help during this difficult time. Transportation to Doctor: We help organize medical visits for our clients and often ensure transportation for medical appointments is available to them. Just let us know if you need this type of help! Truck accidents with bad injuries and major property damage occur in South Pasadena. Located in Los Angeles County, California, the city of South Pasadena has a population of 25,619, as per 2010 US Census. 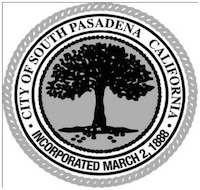 South Pasadena lies at the western end of the San Gabriel Valley, east of the Arroyo Seco seasonal river, north of the San Rafael Hills, and south of and separate from the much larger city of Pasadena, California. The neighboring cities include Alhambra to the southeast, San Marino to the east, Los Angeles to the west and south, and Pasadena to the north. Some of the popular tourist attractions in the city of South Pasadena are Pasadena Museum of History, Fremont Centre Theatre, Garfield Park, Evil Twin Studios, Arroyo Seco Golf Course, South Pasadena Farmers’ Market, Arlington Garden, IPIC Theaters and Norton Simon Museum which is visible on television every new years day during the infamous Rose Parade. Some of the notable personalities born in South Pasadena are William F. Harrah, Kristinia DeBarge, and Meredith Baxter. Also, James Reynolds, an American actor, has resided in South Pasadena. In addition, Bronson Pinchot and William Holden, both American actors, graduated from South Pasadena High School. Moreover, interestingly Hilary Swank, an academy-award winning actress, is a dropout of the school. Porochista Khakpour, an Iranian-American writer, was brought up in the city of south Pasadena. For easy and FREE legal counseling, fill-in some of the details in our contact form and describe for us your South Pasadena, Los Angeles or Califrnia personal injury or wrongful death accident case. We work on a contingency fee – That means there is NO fee until you WIN and then our fee comes out of the recovery usually paid by the other parties’ insurance company and NOT out of your own pocket. So do NOT delay – call us now to see if we can take your case.